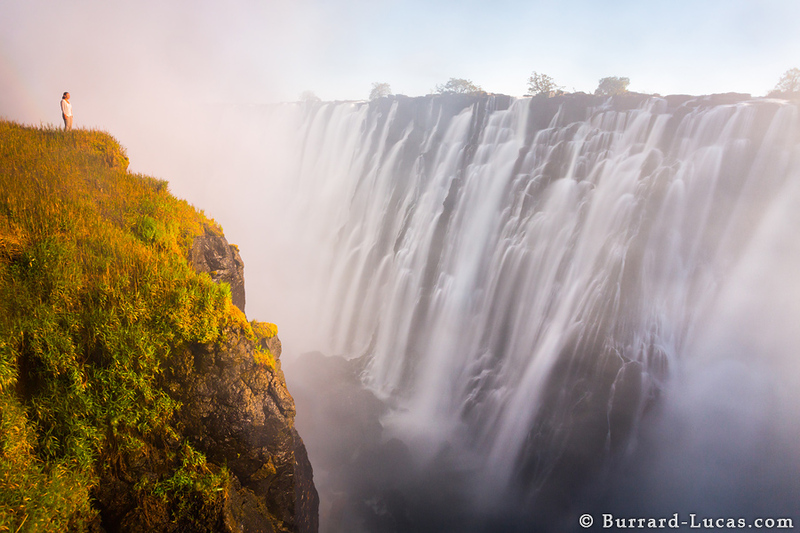 The destination was Zimbabwe, one of Zambia’s neighbours. The task was to spend a few weeks with the Painted Dog Conservation (PDC) team and photograph the African painted dog pups at their den. 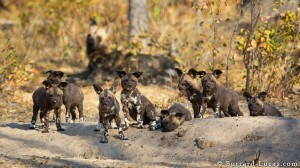 African painted dogs are also known as African wild dogs. They are highly endangered, elusive animals, suffering greatly from loss of habitat as humans encroach on their territory, and falling victim to snaring or being killed on the roads by speeding vehicles. The dogs are famed for their hunting abilities, working together as a pack to bring down their prey (that is often much larger than themselves). PDC are working tirelessly to conserve the dogs, with a large focus on educating the local community to reduce snaring, improve road safety, and treat/vaccinate domestic dogs against diseases that threaten the painted dogs. The routine was wake up at 04:00, brave the chilly morning in a breezy Land Rover by driving to the den and following the adult dogs as they went out for their morning hunt. 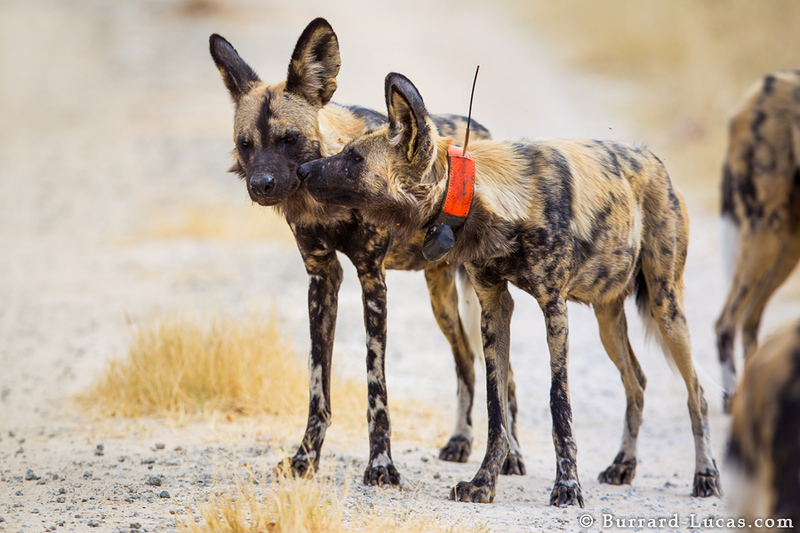 Wild dogs have stamina, and it was not unusual for them to do a 40km round trip (that’s almost a whole marathon) just to get breakfast each day. Jealous, the PDC tracker was incredibly skilled; he was able to track the dogs through thick undergrowth following their spoor (which I couldn’t even see half the time). We would return to the den with the adults, and watch them regurgitate chunks of impala for their pups and spend the rest of the morning watching the pups play with regurgitated impala ears or skin. As my alarm went off each day, I would spend a split second wondering why I was waking up way before sunrise on my precious hard-earned holiday after an exhausting year at St Francis Hospital. Yet, as I watched the fluffy pups of one of the most endangered carnivores in Africa, I knew why I had joined Will, and I knew that I was very privileged. When I accompany Will, not being a photographer myself, I often feel like I don’t contribute much to the process other than helping to lug some gear around. However, at PDC, I managed to make myself useful. Peter, the PDC managing director, is trained in darting animals to enable GPS collars to be put on the dogs, or to facilitate removing snares. As well as fitting a collar, when a dog is darted, he needs to collect blood and tissue samples to do DNA profiling. However, the dog may only be asleep for 40 minutes and there is a lot for one person to do in that time. 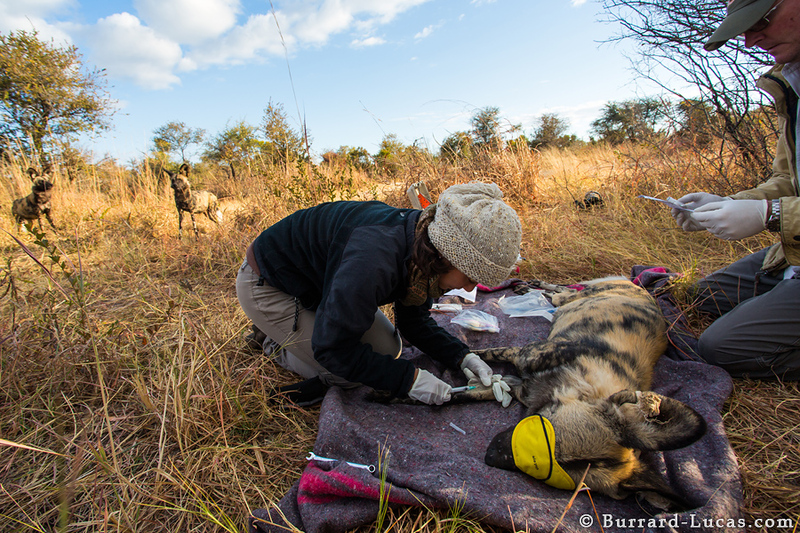 He asked me if I would help out with the blood and tissue sampling, and that is how it came about that Dr. Nat’s final patient in Africa was a wild African painted dog! I’ve taken a lot of blood samples in my life, from premature infants, hairy men and elderly ladies alike. However, my patients have always been human and are usually in a hospital bed or examination couch. So, it was somewhat surreal to be kneeling on the dirt in the bush with a sleeping painted dog in front of me, but even more alarming was what was behind me. In a hospital, I often ask relatives to wait outside while I do procedures, as it can be off-putting for the doctor to have onlookers, and distressing for the family to see the procedure. I don’t speak dog, so I couldn’t ask the pack to wait around the corner. After spending two weeks with the dogs, I learnt that they are very caring and attentive to their pack members, waiting if someone is left behind, constantly looking around to check on each other. Therefore, you can imagine that when one of their pack is unconscious on the floor, they all get a bit worried. I thought that I would be terrified having two painted dogs looking over my shoulder as I tried to take blood, especially as I had seen the same dogs ripping through an impala just a few days earlier. Yet, as I palpated for a vein on the skinny but hairy front leg of this incredibly beautiful creature, I was caught up in the moment and barely had time to notice his furry friends behind. I managed to get plenty of blood and just finished obtaining the tissue sample when he woke up. Slightly dazed and confused he ran off and joined his pack. Later that day we saw him up and about sporting his new reflective GPS collar, which will help him to cross the road more safely at night. 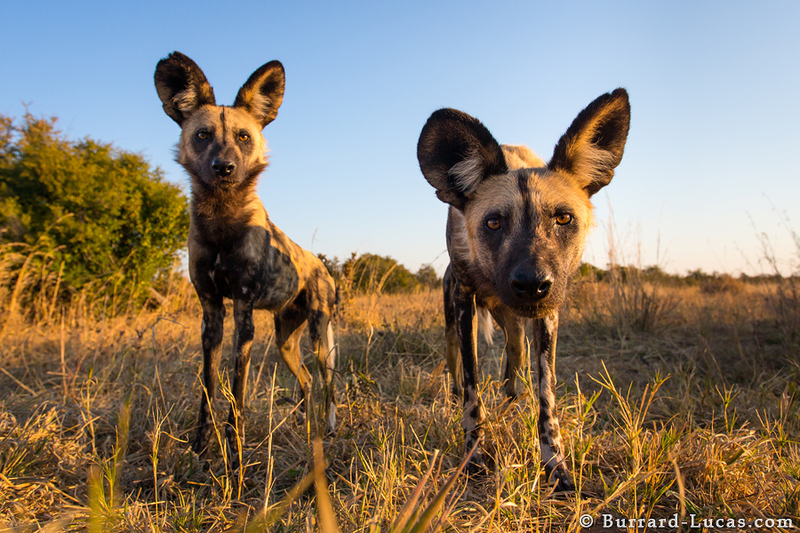 I don’t know what the future has in store for Zimbabwe’s painted dogs, as they face so many challenges and threats, but I know that with people like Peter and Jealous in their corner their chances are that bit better. What an amazing adventure! Now you can add a stint as a veterinarian to your list of accomplishments. It WOULD be a bit scary to have those two dogs, on what looks like high alert, watching as you worked on their prone pack member. I wonder if the females will find him even more attractive now that he’s wearing that fancy red collar. The pups are so cute; it looks like they’re wearing high-top sneakers. Here’s hoping the future will be brighter for Zimbabwe’s painted dogs. As with so many endangered species, only we humans can save them. You are an inspiration and I have loved reading your blog over the last year. I have experienced many sides of Africa but I can never read enough about other people’s experiences. You write the most natural blogs and it has been a pleasure to read what you have been up to! You write with humour, humanitarianism, and candour. I am sure you will wonder what on earth to write about when you get home, but please don’t sto writing. Dr Nat, I have been following Will’s Zambia photo exploits over the last year – I am a friend of the Norman Carr team having visted Luangwa several times starting in 1972 up until 2012 and still planning another visit. In fact I visited Hwange in 1968 and 1995 but saw no wild dogs! Anyway I picked up the link to your blogg from the Hwange F/B post and I have just spent the last enjoyable hour or two browsing your year at St Francis. As you might guess I know Zambia quite well after living there for 7 years in 60′s/70′s and visiting from time to time since then. You have captured so much of Zambian life in your 12 months and most entertaining bloggs. Thank you for sharing your experiences and all the best for your future career. I am sure you will be missed at Katete.